Deciding to work abroad or be an Overseas Filipino Workers (OFW) is one of the hardest things you will do in life. Living and working in a foreign land, away from your family is not really easy. Sometimes OFW cannot survive this kind of life. Homesickness is one of biggest enemy of an OFW. But because you are the breadwinner of the family even it is hard being away from them, you do it anyway and endure the situation until you become used to it. Working abroad is not forever, so before going lay down your survival guide on how to survives years or two without seeing your loved one face-to-face. Here are some guidelines that might inspire you. How many years are you planning to be away? How much money do you plan on saving up? Involving your family in this planning is making them aware that they will not have an OFW income for the rest of their lives. Let your family know about your plans so they don't expect your contract to be open-ended. It is sad to see OFWs still working in spite of retirement age. 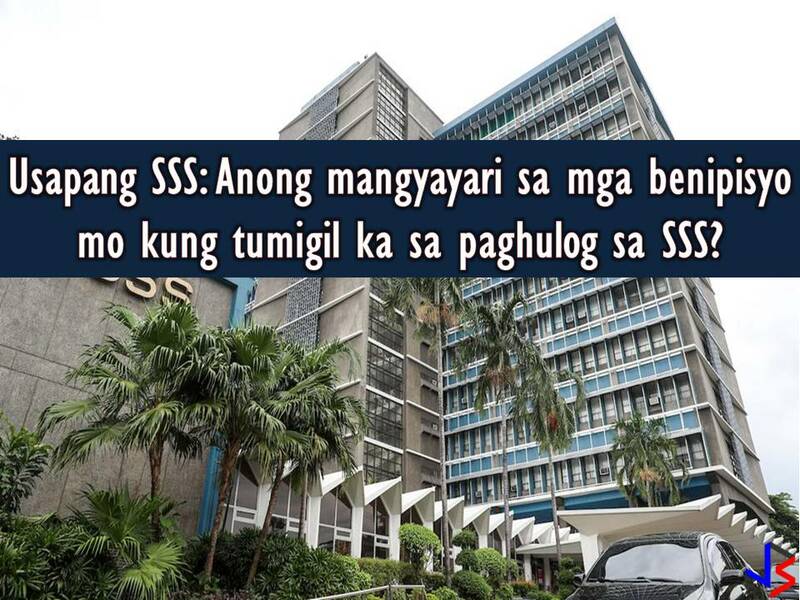 To avoid this, as an OFW you should be in charge of your present and future and eliminate the "Bahala Na" system. 2. Communicate Everyday if You Can! In all kinds of relationship, communication is vital. Take time to talk to your wife or husband and children on the phone or video chat if possible every day. No matter how repetitive and boring it feels after a long day, have conversations with your children. Being physically absent doesn't mean you have to be emotionally unavailable as well. That video chat is all your family especially children have of you while you are away. Be there for them because lost time cannot be replaced. Make sure of your vacation dates every year or two or make your family visits you once a year or every other year if you cannot go home due to your employment contract. Just because you are earning big now, your expenses will also increase. Stay to your old or previous household budget and save bigger for savings that you might need in the future for your investment, child's education, your retirement. Do not leave the budgeting solely to those left back home. Have access to bank accounts. Ask for progress reports and detailed photos of that house you're building. Talk to the contractor of your house construction. Do not leave your dreams in someone else's hands. 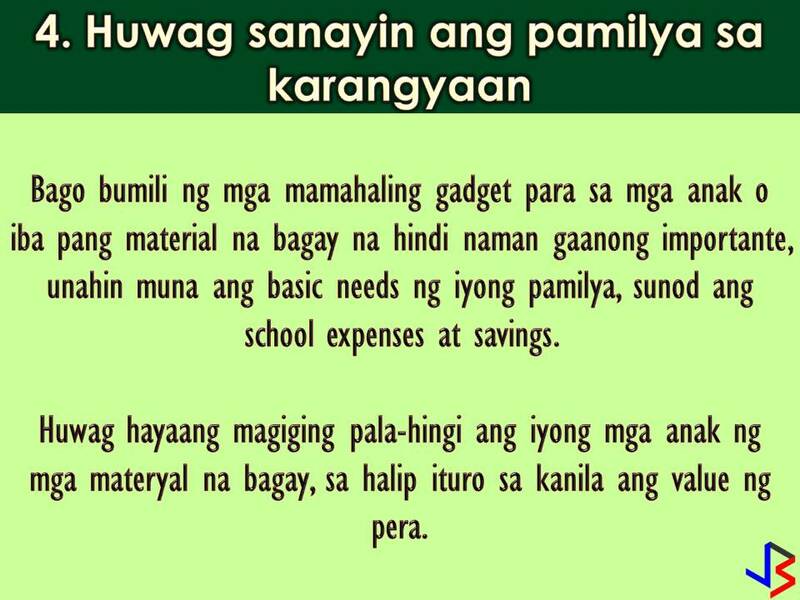 Before buying an expensive gift such as gadgets and other material things, make sure you have fulfilled first the basic needs of your family, followed by school expenses and savings. After this, you can consider buying small inexpensive gifts. Do not allow your children to develop the habit of constantly asking for non-essential items. Instead, teach them the value of saving for something they want. If you want to help them out in buying a coveted item, let them know that they need to save up half of the amount and you'll save up for the rest as well, to let them know that you need to save up for special items, too. If you have loans when you pursue your dream to become an OFW, pay them when you are starting earning. Before you spend on yourself and take requests for presents, create a plan to pay off all your debts. It is the right thing to do and shows your good intentions to the person who helped you out. Not paying one's debts in a timely fashion or on unclear terms makes both parties feel you are indebted for life. Paying off debts builds trust and solidifies financial relationships, and puts your family back home in good standing with your lenders. Make it a priority. Since you are the breadwinner, your family's success depends on your physical and mental well-being. Spend on healthy food and activities. Treat yourself to a small vacation or something you've always wanted. Quit your vices. Without your health and sanity you will not be able to help your family at all, so make sure your needs are met first. Know your physical boundaries. Do not work through sickness. Know when to rest and take a break. Learn to refuse work that will impact your health. OFWs are experts at forgetting themselves, forgetting too that loss of their well-being means the loss of livelihood for all who depend on them. Remember that you will one day return to your family who will need you to be healthy and in good spirits. You know already that working abroad is not forever. Let your family know that too. When you had enough working, then it's enough. One reason you work abroad is for your children, instill in their minds that they are getting a better education so that when you come home, it will be their turn to help the family, and hopefully, not have to leave the country to do so. Give your family a finite number of years that you plan to be abroad. When it comes time for you to go home, do not be persuaded to stay or take on another job just for more money. If you planned it well and managed your money wisely, you should have a decent amount with which to retire or start your own business back home. With a goal in mind and with the help of your family, you can work abroad with inspiration. After 10 or 15 years of working in other countries, coming home with less worry about your family's future is something you can be proud of!